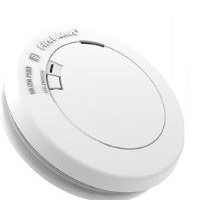 Simple to install this battery operated photoelectric smoke alarm to any location. It is recommended to be installed in outside areas that are prone to nuisance alarms such as kitchens, bathrooms and utility rooms. This item comes with a 10 warranty and is UL 217 listed.